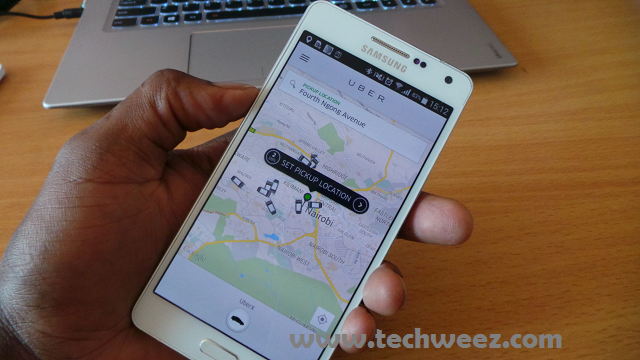 Uber launched in Nairobi in January 2015, and the service became a hit among the expatriate community and Nairobi’s tech savvy users. At the time of launch, many questions lingered as to how Uber planned to scale up in Kenya since there’s little adoption and use of credit card services (this is currently at 10%). All around the world, Uber has been synonymous with cashless payments only piloting cash payments in Hyderabad, India. Nairobi is the second city in the world where Uber is piloting cash payments besides accepting payments made through mobile money services. The taxi hailing service is now adding new improvements to its service offering aimed at the local market. Uber Kenya has partnered with Kenya National Association of the Deaf (KNAD), which will assist drivers with hearing impairments become Uber drivers. The partnership will see Uber provide a modified version that disables the calling functionality on the app. After one hails the Uber, they are able to see their rides on the Uber app as it approaches their pickup location. In some instances, the rider needs to issue instructions to the driver and this is where the modified version comes into action. The call function is disabled making communication only available via text. On the driver’s end, they receive color flashes that notify them of the message or the ride requests. The rider will also have to add the destination of their ride after notifying them that their driver is deaf. The features have been tested in several cities in the United States including Chicago, Los Angeles, San Francisco with Nairobi becoming the newest addition. Next articleConan O’Brien is Being Sued for Plagiarizing Twitter Jokes.